There are numerous benefits to Acupuncture. Acupuncture is a safe and effective therapy that began in China. It is a proven path to health and wellness, with thousands of years of happy patients. If the body’s energy flow is disrupted, pain and illness can occur. 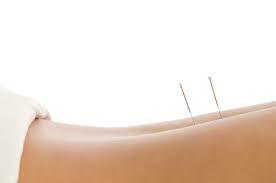 Acupuncture helps to reverse the progression of disease or prevent diseases from occurring. Using fine sterile needles, acupuncture stimulates meridian points and restores the body’s natural flow of healing energy. Our Acupuncturists are fully trained and have years of experience treating a wide variety of conditions. Research from leading health institutions, such as the National Institutes of Health, shows the benefits of acupuncture for reducing many types of pain. The World Health Organization has listed more than 40 conditions that can benefit from a course of acupuncture treatment, including pain management, arthritis, headaches, fibromyalgia, chemotherapy, allergies, auto-immune disorders, fertility issues and overcoming addictions, just to name a few. Below is an official list of symptoms, diseases, and conditions that have been shown, through controlled trials, to be treated effectively by Acupuncture. If you have any questions or would like to make an appointment, please call us at 360.866.6479. Prepare to feel the amazing intrinsic work and healing benefits of Acupuncture!